Looking to make your Central Coast FCU credit card payment? If so, you are probably wondering what payment methods are available to you. Here is a brief guide to help you choose. To make a payment online or manage your account, follow the link provided below on this page to the Central Coast FCU credit card login. You will also find useful “bill pay” information such as the credit card customer service number, payment mailing address, and billing phone number below. You could make your Central Coast FCU credit card payment by mail, sending your check and printed payment slip to the address shown on your credit card statement. Online Banking: Setting up an online banking account is far more convenient. You can apply for online banking at the Central Coast FCU website. Here you have the option of setting up “on demand” payments (one-off payments) or automatic monthly bill payments, which take care of your outstanding credit card payments each month without you having to worry about being a late payer or missing a payment completely. Upon choosing the latter option, you will only have to make an “on demand payment” for the first credit card bill, as the automatic payment will be deducted from your checking account the following month. Be sure to schedule your payment to be made at least 5 days before the actual due date of your credit card bill. 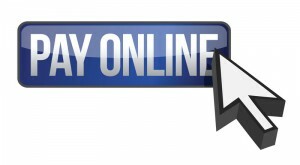 Pay Online: The Central Coast FCU credit card is issued by Elan Financial Services. Elan offers an online account management center where you can quickly make a payment, manage your account, and view your balance. To make your Central Coast FCU credit card payment online click the “Pay Online” button below to login, register, view your statement or manage your account online. Pay by Phone: The Central Coast FCU credit card payment phone number is 800-558-3424. Pay by Mail: The credit card payment mailing address is: Cardmember Service, P.O. Box 790408, St. Louis, MO 63179-0408. Please include your account number on your check. Your account number is located on your statement. To ensure your payment is received on time it is recommended that you mail your payment at least 5 business days prior to the due date shown on your monthly billing statement. To send an overnight payment send to: Cardmember Services, 824 N 11th Street, St. Louis, MO 63101-1016. Central Coast FCU Credit Card Customer Service: The credit card customer service number is 800-558-3424. You can apply online for a Visa credit card of your choice by following this link https://www.centcoastfcu.com/credit-card.html and completing the application form. Central Coast FCU offers cardholders an excellent choice of cards and, thanks to the Visa network of participating merchants, there are more than 25 million retail outlets worldwide that cardholders can access. The Visa Signature Bonus Rewards Card from Central Coast FCU offers cardholders excellent benefits. For every net $1 spent, cardholders receive 1 reward point, plus another 25%, the equivalent to 1.25 points, for all points earned every month. In addition, they get $25 cash back with their first purchase. Central Coast FCU’s Visa Signature Bonus Rewards PLUS card also earns cardholders 1 reward point for every net $1 spent, but the card also offers cardholders a 50% bonus (the equivalent to 1.5 points) on all points earned every month. In addition, cardholders get $50 cash back with their first purchase, which repays the annual fee of $50 that applies to this Visa credit card. For borrowers looking to earn even greater cash back awards, Central Coast FCU offers the Cash Rewards American Express credit card, which can earn them up to 3% cash back on gas purchased, up to 2% cash back on supermarket goods bought and 1% on all other purchases. In addition, cardholders get $25 cash back with their first purchase. Frequent travelers will probably prefer the Travel Rewards American Express Card from Central Coast FCU, which offers 3 x reward earnings on airline purchases and 2 x reward earnings on hotel and restaurant purchases. The card attracts an annual fee of $75, but cardholders get a $75 cash back reward with their first purchase, which offsets the larger part of this credit card cost.